Frances Ha, directed by Noah Baumbach, follows the life of a dancer who watches as her disorganised life unravels around her and is unable to see how she will ever be able to have a successful future. At the start of the film she breaks up with her boyfriend before promptly also falling out with her best friend and house mate, Sophie. 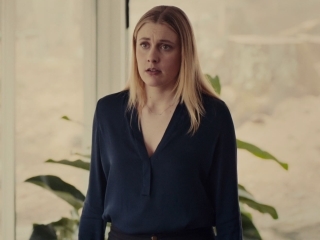 Nevertheless, Frances, played excellently by Greta Gerwig who also wrote the script, is enthusiastic throughout her problems and is always optimistic that a solution will soon appear. I found her a fascinating character as she is aware of her flaws but she continues to try and support herself as a dancer in New York, even when faced with the realities of a non-existent income and rent. This compares favourably with many of the other characters she encounters who are revealed to be hypocritical or narrow minded, although they are never irredeemable. 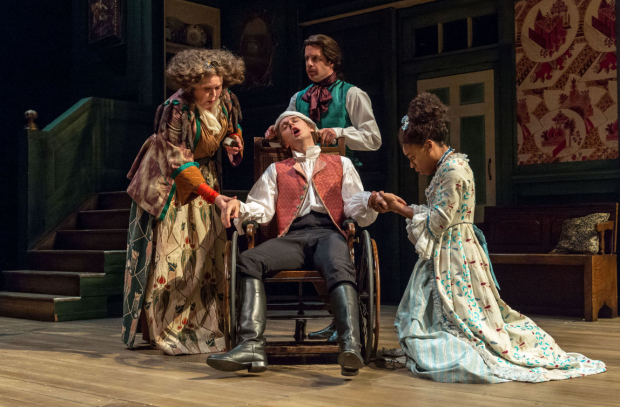 This subtle and sympathetic portrayal of the cast, as well as Frances’ bumbling manner, ensures that the tone remains comic rather than mocking. Although the use of black and white rather than colour might suggest the film will be self consciously quirky I was surprised by how simple the style remained. 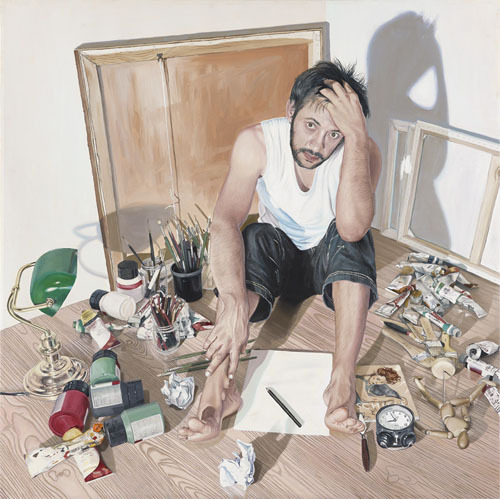 It allows Baumbach to focus on the everyday details of Frances’ life, such as the small bedrooms and grey days that she must face, and also demonstrate how she flourishes when with other people. The film depicts accurately how a relationship can slowly deteriorate without either person noticing until it is damaged and undeniable. 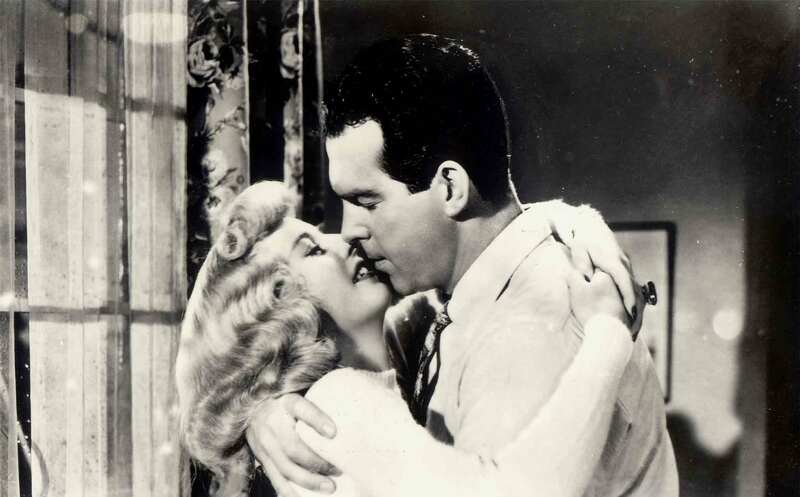 Although Frances is continually surrounded by other people throughout the film she is lost without Sophie, as she fails to replicate the ease of understanding they had. She continues to call Sophie her best friend even when they do not speak for months and this also forces her to re-evaluate her own identity as she realises how much she depends on Sophie as a counterpoint for her own experiences. Their lives cannot be so intertwined again and Frances must learn to depend on herself and to enjoy doing so. However, neither Frances nor Sophie is willing to give up on each other completely and they must learn how to appreciate the different people that they have become. Frances Ha manages to be a film about loneliness as well as relationships and highlights the ease with which people can get lost when trying to follow their dream. I have meant to watch this film for a long time and I wish I had made time to see it before – it is bitter-sweet, poignant and yet also a comedy. Following all the commemorations around the 25th anniversary of the fall of the Berlin Wall Goodbye Lenin! was an excellent film to watch. Directed by Wolfgang Becker the film charts the difficulties of assimilating the two cultures which had developed on either side of the wall. Decades of Soviet rule created different brands, fashions and ambitions, let alone the two opposing forms of government. Alex Kerner (Daniel Brühl) has grown up in a staunchly socialist family with a mother who takes part in every aspect of Soviet Berlin after his father defects to the West. However, this devotion to the GDR causes problems when Alex’s mother, Christiane, has a heart attack after watching Alex protest and lies in a coma for eight months as political turmoil overwhelms the lives of all those around her. 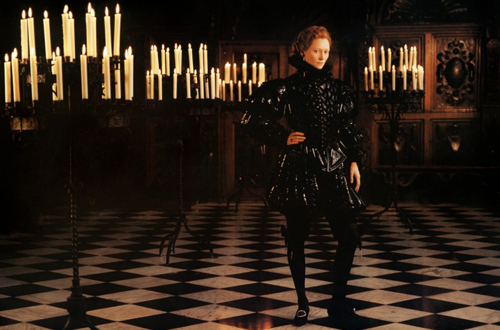 This most extreme version of media black out by Christiane causes Alex problems when he is told that she cannot suffer even a light shock without a great risk to her health. He therefore begins an all consuming effort to keep the world as she would remember it visible from the bed she is confined to, even if this means fighting the increasing presence of capitalist influences and the enthusiasm of his fellow East Berliners to leave their past behind. This even involves decanting food so that it appears in a correctly branded container, since the East German brands Christiane requests have already fallen out of favour with supermarkets. However, it soon appears that Alex is not solely preserving the quirks of the GDR for his mother as they become equally important for him. He is dismayed at the lack of loyalty people show as they rush to exchange their money for West German marks and adopt the habits and fashions of their more affluent peers. Nevertheless, while this might seem like quite a heavy subject matter the film also contains some charming and light moments. Alex meets and falls in love with a girl, Lara, who has been nursing his mother in the hospital and together they experience the new freedoms which reunification brings to Berlin as they explore the houses which have been left empty by those who flee the East. 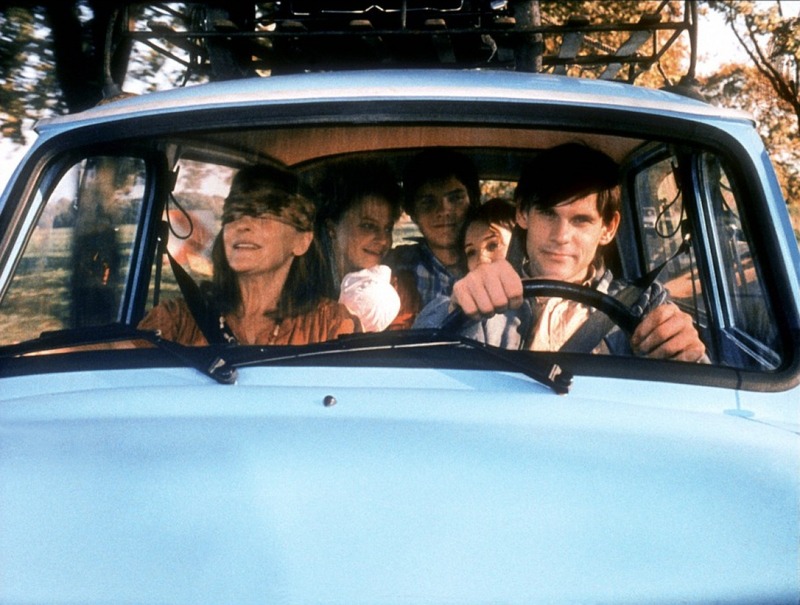 The family dynamic, not only between Alex and Christiane, but also with his sister, Ariane, and her young daughter bring a happy note to the film which would otherwise focus only on family disintegration. Instead, the addition of Lara to their family group along with Ariane’s new boyfriend from West Berlin show how families can grow and blend along with the wider society. Finally, the soundtrack by Yann Tiersen matches the film well and is similar to his exquisite creation for Amélie. It manages to match the range of emotions that the film creates even though these can switch within a scene from comedic to heartbreaking. When I watched Goodbye, Lenin! I immediately recognised places in Berlin and continued to do so throughout the film despite only going for the first time this year. The film provides an excellent depiction of what Berlin feels like both at this pivotal point in its history and now, 25 years after reunification. Therefore, it’s a good watch for both those who love Berlin and those who know nothing about it! As the opening credits of Ida began I realised I had almost unrealistically high expectations for this film. I had seen posters littered with hyperbolic praise and adorned with awards from across Europe and watched the breathtaking trailer several times. I suddenly worried whether it was possible for the film to sustain so many preconceived hopes. However, it soon became apparent that Paweł Pawlikowski has focused on the small details of Ida’s story allowing the larger subjects of the film to remain undamaged by a heavy hand. This lightness of narrative makes Ida both a completely absorbing and painful film to watch. The eponymous Ida, Agata Trzebuchowska, is an orphan novice nun who is about to take her vows in rural Poland during the Soviet rule of the 1960s. Although she has already agreed to spend her life in the stark nunnery her Mother Superior insists she must meet her remaining family, an aunt, before she makes an irreversable commitment. Ida reluctantly makes her way to the city where she discovers from this aunt, Wanda Gruz played by Agata Kulesza, that she is Jewish. Her complete faith in a Christian god is then faced with an identity crisis as she realises she knows nothing about this new culture and family which have laid a claim on her. Pawlikowski also demonstrates throughout the film that it is not only traditional Jewish culture that continues their separation but the overwhelming and inescapable grief the recent generations have faced following the loss of so many communities in the Holocaust. 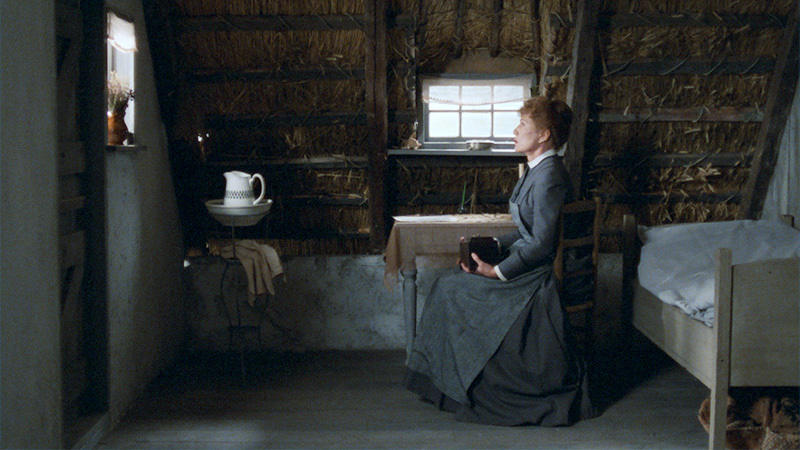 Ida is drawn into this shared emotion as she travels with Wanda to discover her parents’ fate and understand why she was left at the nunnery for so many years. Although this quest to reveal Ida’s past might sound unremittingly bleak the film does also raise questions about how lives should be lived. As Ida begins to experience the full possibilities that the world has to offer, ranging from beautiful clothes to the social interaction offered by a bustling city and the suggestion of a male friend, it seems as if she has closed herself off from the world before even understanding it. The audience sees this strange new world through her eyes, as even a traffic jam appears exotic in comparison to the barren, snowy lands surrounding her previous home. Ida was a film that I think will stay with me and in my thoughts for a long time. While many people wished they could forget the terrible things which war brought with it to Poland it is clear that this would always remain impossible without an acknowledgement of the wounds that lay across the surface of society. Unfortunately Ida appears to have finished its run in cinemas but I think it is worth buying the DVD of this film as the clear and simple visuals will not bore with rewatching. 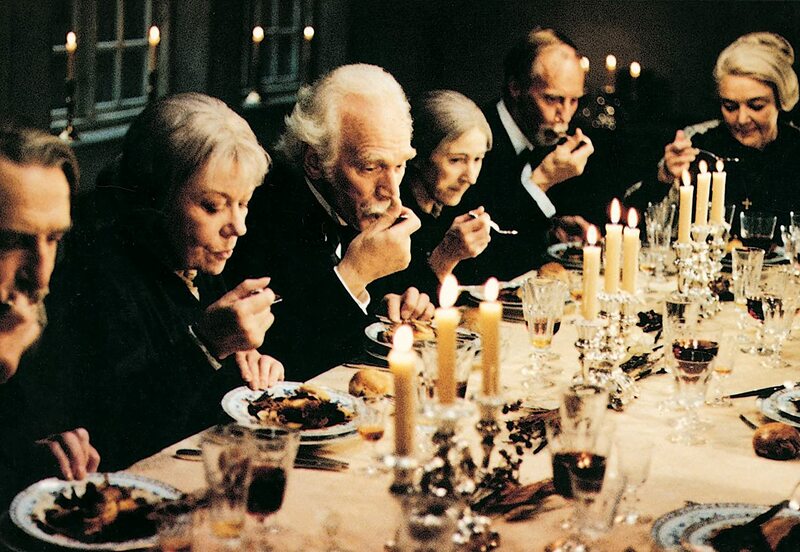 I must admit that I had high hopes when the opening scenes of Babette’s Feast began as one of my favourite films and books ( Out of Africa ) is based on the life of Isak Dinesen, the author of the short story on which the film is based. Dinesen, who wrote under the pen name Karen Blixen, lived an unconventional life which included both the plains of Africa and the colder shores of Denmark. 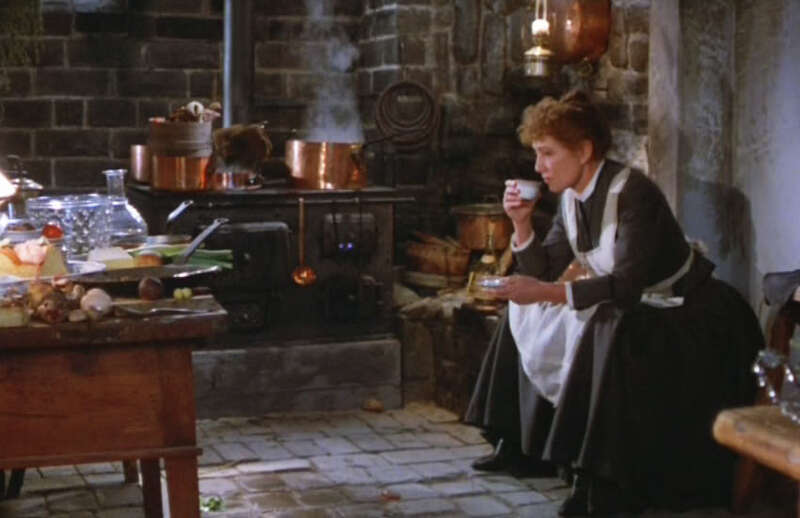 However, while watching Babette’s Feast I was struck by how quickly the rhythm of the community was evident, just as it is soon clear in her tales of African life. While this clarity is partly due to Gabriel Axel’s direction it also demonstrates that Dinesen understood that inherently communities share a common humanity wherever they are based. 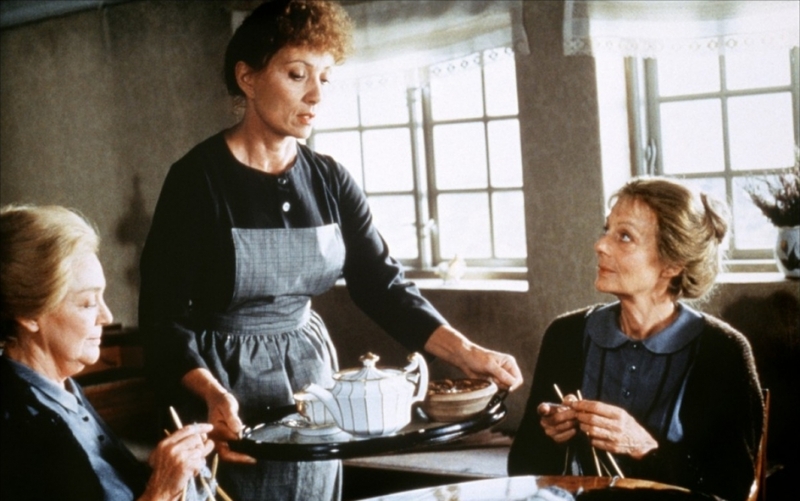 The film revolves around two elderly sisters and their French maid Babette in a remote town in Jutland, Denmark. All three women are loved throughout the village due to their devotion to the poor and community spirit. However, Babette has not always lived in this small village and the film returns to past events to explain her presence. The two sisters had both been very beautiful in their youth but their father, a preacher, encouraged them to remain above worldly desires and passions. One sister watches as a shy military suitor gives up hope while another gives up her beloved singing lessons to dissuade her teacher from falling in love with her. This asceticism leaves the sisters elderly and alone when Babette arrives at their door and begs them to take her in, having been sent by the spurned music teacher. 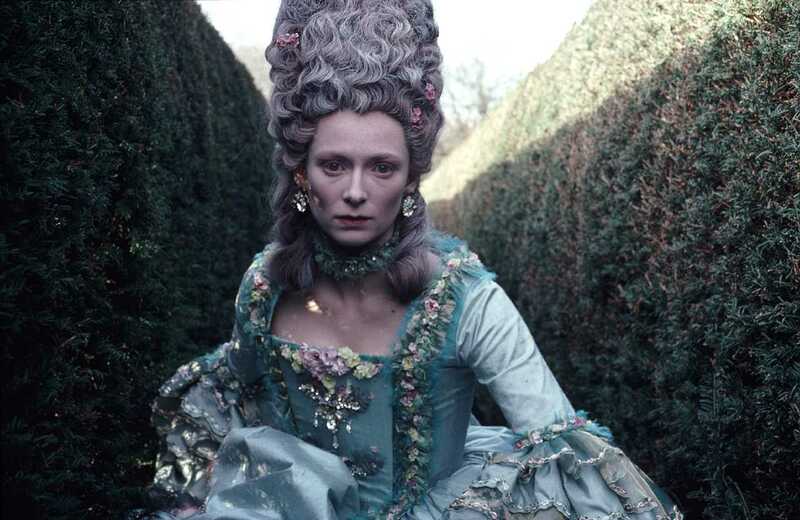 Babette is alone and has lost everything due to the French Revolution. After several years of looking after the sisters in Jutland she discovers that she has won the lottery, her only remaining link with France, and is now very rich. She decides to make a real French dinner for the sisters and their friends to thank them for their kindness. The sisters agree and suddenly watch on as their humble kitchen becomes host to exotic ingredients and exquisite china. However, what the viewer finds enchanting and exciting the sisters find terrifying as they increasingly imagine Babette to be cooking temptation itself for them to eat. The guests agreed that although they must eat the food which Babette has made they will refrain from discussing it so that they can demonstrate they remain above worldly delights. The final scenes around the dinner table focus on each guest’s face as they attempt to not register a single moment of enjoyment. However, not only do faultless dishes keep arriving from the kitchen but Babette ensures that every wine glass remains full. Eventually it becomes clear that despite their best efforts the guests do not remain immune to the effects of Babette’s feast. The dimly lit scenes encourage an intimacy with the group and demonstrate that Babette is not only providing them with a meal but an unrepeatable experience. Although the food is shown, as each course appears including caviar, turtle soup and duck pastries, this is second to the social interaction which takes place – the dinner table makes the guests equal, even with the decorated military general, and differences are forced aside. I can wholeheartedly recommend this film, in part because I have discovered that it is Pope Francis’ favourite film. I expect that he appreciated the calm meditation on artistic riches set against the Danish coastline as much as I did. It is a film which I have thought about often since watching it and I intend to watch again. However, I would also recommend any of Isak Dinesen’s (Karen Blixen) work as it is the slightly ethereal nature of the plot which provides such a simple film with such a fascinating effect.